The town of Boone NC is the county seat of Watauga County, and generally revered as a central hub of commerce for the area. It is home to the four year liberal arts university, Appalachian State and brings some 17,000 students to the area each semester. There are many hotels, and places to stay in the town, making tourism an integral part of its economy. Interested in checking out properties of Boone North Carolina real estate? We’ve got you covered. You can begin checking listings online, or give one of our esteemed agents a call today. Being a hub of the High Country does not mean that Boone is not without its quiet and well preserved spots. 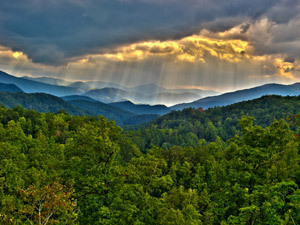 The Blue Ridge Parkway, a federally managed area, snakes its way around the High Country and through Boone’s countryside. Ancient rivers such as the New River, rise along the North Fork in the town as well. View homes for sale in Boone NC Real Estate in the listings. We feature the widest and best search for all real estate in Boone. Click to find luxury homes in North Carolina for sale in and around the town of Boone North Carolina. Whether you are a seasoned buyer that invests regularly in real estate or a first time home buyer, our agents at The Mountain Group at Premier Sotheby’s International Realty would love the opportunity to meet with you and find out about your dream home and the types of Boone North Carolina Real Estate properties that you might be interested in. There are quite a few different neighborhoods and gated communities in Boone. The Mountain Group at Premier Sotheby’s International Realty is the most extensive place online to search all of the listings of Boone North Carolina Real Estate. Narrow your search by price, amenities and location, or search an entire area for all of the listings available.